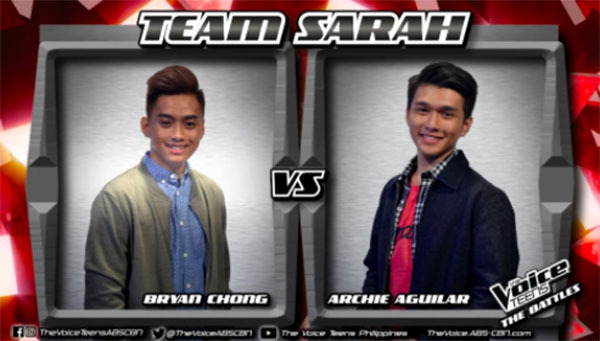 Archie Aguilar and Bryan Chong from Team Sarah performs ‘Heaven Knows’ on The Voice Teens Philippines Battles on Saturday, June 17, 2017. “I believe in the emotion, it was Archie,” said Bamboo. “There’s a little mistake with Bryan. Archie has a really beautiful voice,” said Sarah. Kanino ka, kay Bryan or kay Archie?